The dedicated employees of Seattle (WA) City Light recognize how crucial the Skagit River is to the local population. The waterway supports the hydro-electricity supply for nearly one million consumers in the greater Seattle area. The river also supports the largest wild population of Chinook salmon in the Puget Sound. Nominated for volunteering at the 4th Annual Skagit River Cleanup to remove debris and improve habitat on the river, the utility’s employees also provided shuttle service, meals and lodging for other volunteers and their families. In addition to helping the local salmon and citizens, SCL employees earned a Communitas Award for Specific Volunteer Project. Do you know of a company or an individual who has made a difference in your community? 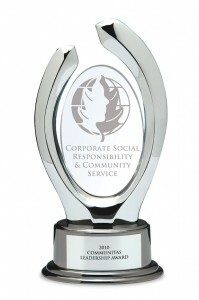 We invite you to visit www.communitasawards.com for printable nomination forms and information on how to nominate a deserving individual and/or business.